By the end of Saturday there will be some enhanced reputations and dented ones too after Cheltenham’s Festival Trials card. Tony Carroll is hoping Nelson River falls into the former category once he has tackled the Grade 2 JCB Triumph Hurdle Trial. 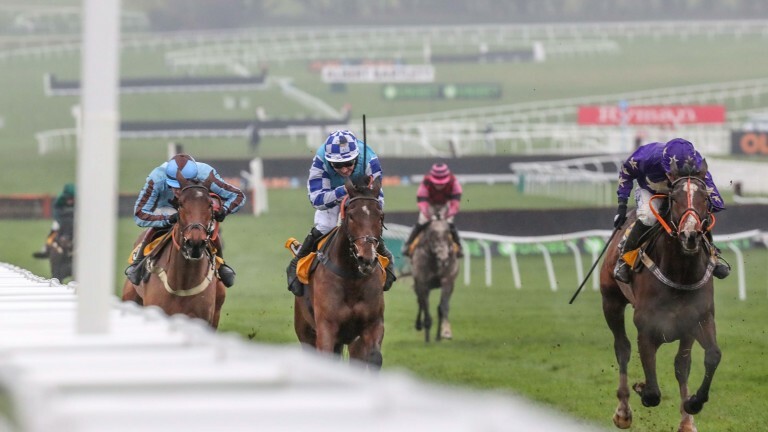 Unbeaten in both hurdle races to date, Nelson River was a course-and-distance winner last month in another Triumph trial when beating Fanfan Du Seuil by a length, but Saturday’s race promises to offer a stiffer examination. Carroll has faith in the son of Mount Nelson, who is owned by the four-strong Cccp Syndicate, and the trainer said on Wednesday: “Obviously, this is another big step for him and we’ll see where he takes us. Jockey Harry Bannister is also looking forward to testing Nelson River against some promising opposition and thinks the four-year-old’s previous Flat experience could stand him in good stead. “He’s exciting and he’s not done anything wrong,” Bannister said on Wednesday. “I think he’s battle-hardened from the Flat and that’s helped make him a bit tougher at the end of the race. Nelson River is available at a top-priced 10-1 with Coral for Saturday’s race and can be backed at 40-1 for the Triumph Hurdle, odds that could be on the generous side.